TubeNet • View topic - So I shaved my beard. So I shaved my beard. Re: So I shaved my beard. I ain’t no virtuosos, if shaving provides any advantage, I’d do it. Some of my friends are so smart, in school they could get drunk every day, miss half their classes and still ace everything. I should have quit drinking. Not to pick too many nits, but none of those gents except the last has a beard. Also, I'm not sure playing in the pedal range was as much of a "thing" as it has become in the last 30-40 years. And that is where being clean-shaven is most helpful. Several of my tuba-playing friends have grown goatees over the last few years. They sounded great when they were clean-shaven, and they sound just as good now. None of them, however, has taken the tack that because they can do it, I should be able to also. They've heard me go without shaving for four days and be unable to hit an ordinary low Bb, much less pedal notes or even ordinary low range. Successful great players with beards and mustaches do not mean a damn thing to people who can't play without shaving. Now if there's someone who CAN'T play without their facial hair, then I'll sit up and take notice. And still shave. 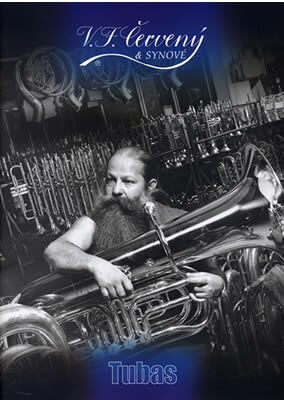 I suppose I’ll chime in because I’ve had the opposite experience with facial hair and playing tuba. I kept my face clean cut for the first few years when I was starting to get more serious about my playing. A few years ago, I noticed that my endurance really suffered on days when I had shaved, and I got more comfortable around day 3 after shaving. Because of this I decided to grow out a beard and see what happened. FOR ME, it has made the world of a difference. The extra cushion of hair really helps with endurance, and does not impact me negatively. About a year ago I shaved again just to see if I was crazy. I ended up having the same endurance issues I had prior to the beard, and my articulations and range were were no better than when I had the beard. I ended up growing it back out, and I haven’t looked back. The increased comfort and endurance without any negative side effects has seemed like a no brainer for me. TubaKen wrote: Also, I'm not sure playing in the pedal range was as much of a "thing" as it has become in the last 30-40 years. And that is where being clean-shaven is most helpful. Ah, maybe that explains it. No one has ever wanted to hear me play in that range, and likely never will. GC wrote: Successful great players with beards and mustaches do not mean a damn thing to people who can't play without shaving. Yep. If anyone is implying or inferring that anyone should be able to play with a beard because this or that guy did, they're mistaken. I've spent close to 45 minutes per day in the last few months alone (with very rare exception) on long tones, concentrating in the extreme ranges. I could play the range, but the sound wasn't tight. Shaving absolutely was what I needed, and the beard was masking all of my work in that range. Sitting up. Taking notice. Thanks. Still shaving. Keeping jawline beard. Face needs at least partial hiding. Just shaved my beard, because my 3 year old said he didn't know what I looked like without it. Looking forward to playing without it... it's been a few years. I think I look 10 years younger without it. It's also going to be pretty cold in the Minnesota winter without a beard! Hey, bushy sideburns get in the way of my Cello playing as well! Got to keep them trimmed. - Use a really good hand razor. Quite a few these days (with multiple blades) are nearly foolproof. - Shave in the tub or shower, and not in front of a sink. - Throw away the creams and jells. A steam-moistened face (resulting in hot water on your steam-softened stubble) shaves much more easily and better than a face with greasy or creamy stuff on it...and that stuff dulls blades quickly, just as contact with dirt dulls a chainsaw chain quickly. - Use fingertips (not a mirror) rubbing your face "against the grain" to tell when areas are completely shaved. bloke "Even these statements will seem controversial to some." I am waiting for BlokeRazors® with handles made out of recycled Buescher parts. I have always felt that playing beardless was my best bet. The only facial hair I have is my goatee. The reason is only partially because I can play better without other facial hair. The main reason is because what facial hair I have left is so sparse that I cannot grow a full beard or moustache. The goatee is the only thing I can grow which will come in remotely full. I could play just as well with a goatee, but - having looked in the mirror - I judge that I'm already quite ugly enough as it is. Anyone happen to know who this guy might be? How's he carry that thing on a Harley? When I played in college I had a beard, but not the mustache, for this very reason. Fellow students referred to me as "Abe", a reference to Abraham Lincoln. I've had a mustache for pretty much my entire (chronologically) adult life. I use a beard/mustache trimmer at the lowest setting and trim back once a week. If I let it get any longer, I feel like a have issues with mouthpiece leaks. Since I "retired" from the Navy in 2008 I have had a beard or goatee but I shave the "soul patch" area. Fwiw, I have been using Braun electric razors. Donn wrote: Anyone happen to know who this guy might be? Whoever he is, he's not playing that tuba -- it has no valve paddles or linkages! He's getting one custom made for him. He's about to show them where exactly that stuff should go.